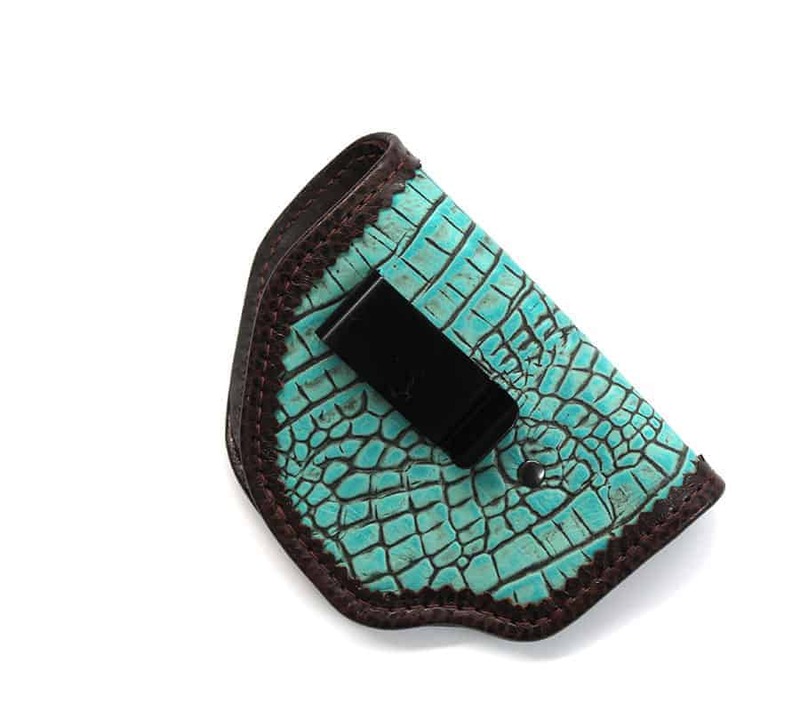 Function meets fashion in MoonStruck Leather’s Antique Turquoise IWB Holster. 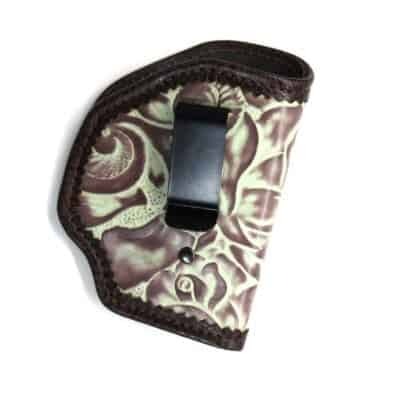 Fine embossed Italian leather and extra strong waistband clip marry into a beautiful, yet functional, concealed carry holster. 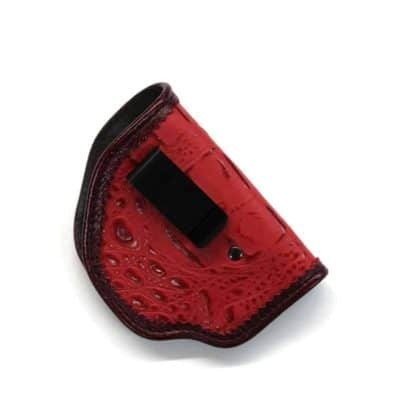 Handcrafted with only the finest Italian leather, our Antique Turquoise IWB Holster is the perfect partner for women and men who prefer to carry on body. 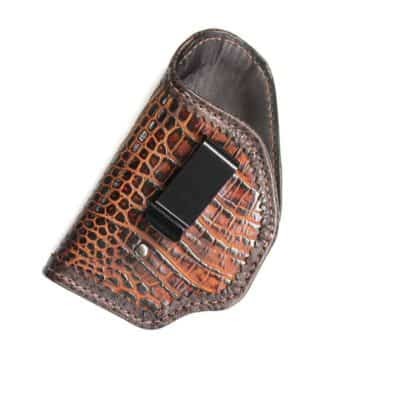 Snapped snuggly on belt or waistband, the MoonStruck IWB holster stays secure for all day long comfort. 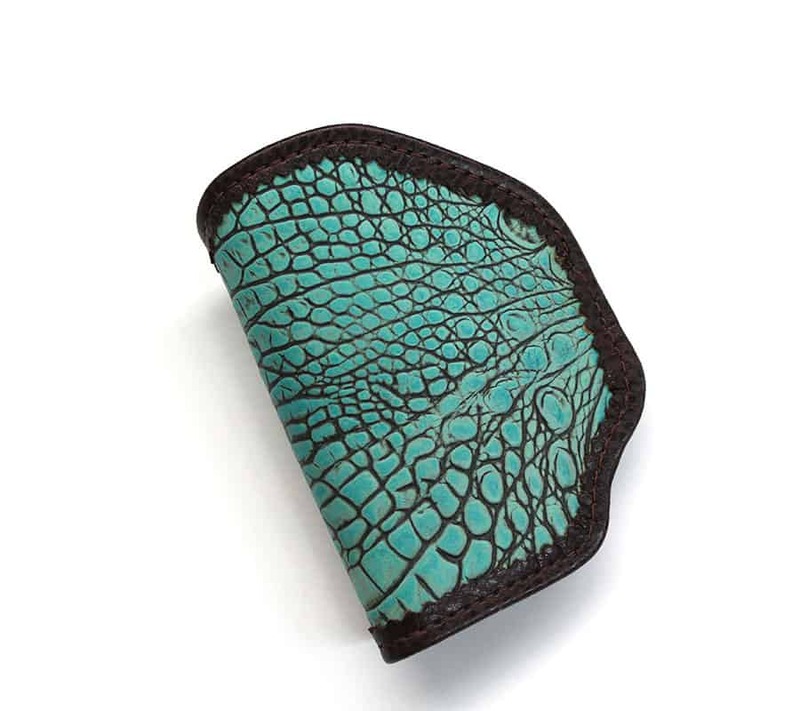 If you prefer a highshield version of the Antique Turquoise IWB Holster, contact Beckie Moon to custom order.